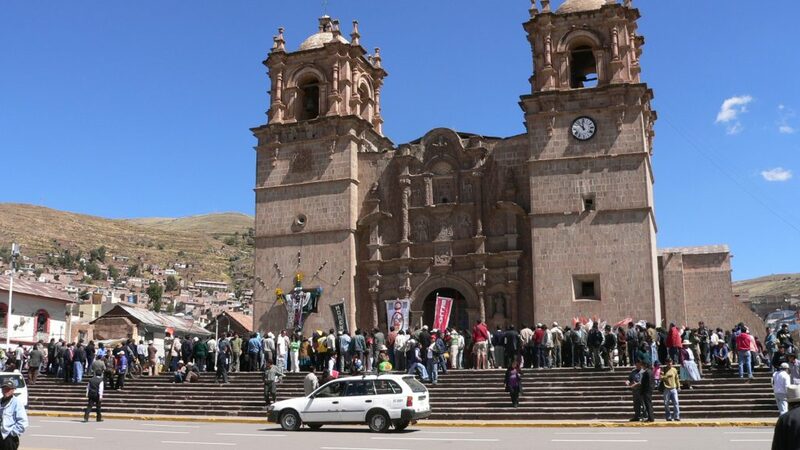 Good timing in Puno, Peru! By chance, I happened upon a lively and colorful church festival. It was mid morning and I was walking around the town center once more, before moving on to a new destination. From the park, I saw a crowd start to gather in front of the church across from the far end of the park. I walked over to investigate. 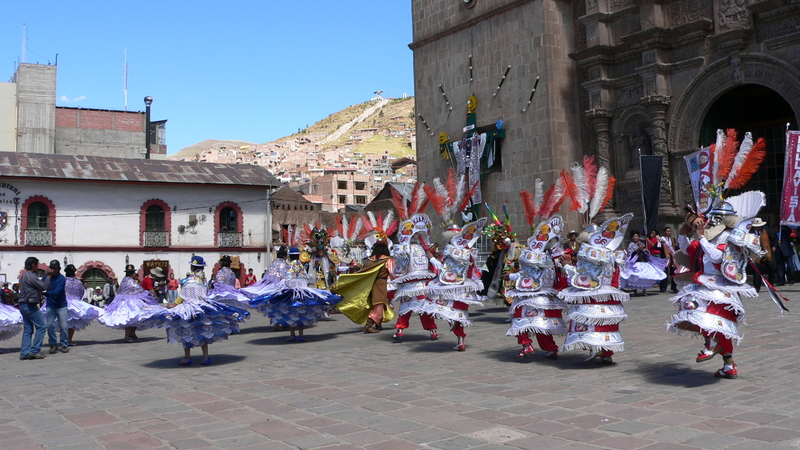 Music started and colorful dancers paraded from the church. 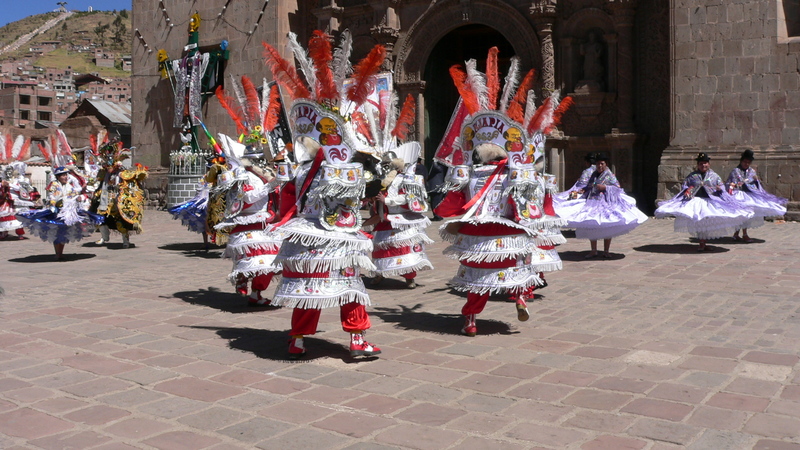 In elaborate costumes, the dancers performed a choreographed dance. 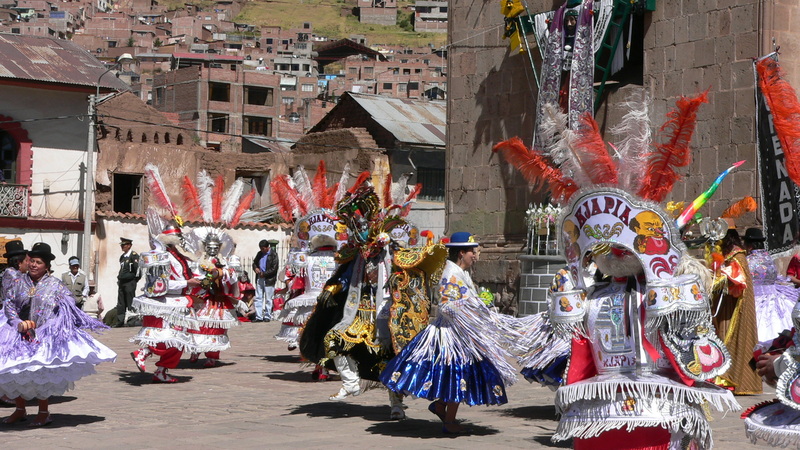 They spun and twirled so quickly that their headdresses, at times, seemed a blur. Some wore face paint and some wore masks. I felt sure there was a story being played out that would have made perfect sense if you knew the story. They could have been presenting scenes from The Nutcracker for all I knew. Within the hour, the performers and the crowd of spectators had disappeared into the church, leaving no trace of this spectacular event. All was quiet. Exquisite garments adorned the crucifix on the exterior church wall. Perhaps, to those in the know, those garments signaled the festival.